Similar to the traditional southern crisp, sweet tea, South Carolina is steeped in history. The state’s historical culture is known for its wealth and prosperity that throughout time has gone hand-in-hand with war and oppression. Yet somehow, residents of South Carolina balance a sense of southern charm with reflection and solemnity for their historical culture. Through my times and travels throughout the state thus far, I have seen this balance in the way that historical preservation meets coastal conservation. A great opportunity for historical and natural protection, is the transformation of traditional plantation properties into regions of ecological wealth. Traditional southern plantations are known for their agricultural prosperity, southern society, and hard workmanship performed by an enslaved community. An unbelievable feat accomplished by a slave work force was the creation of rice plantations. The strenuous and intensity of labor found in converting coastal swamps into rice fields has been compared to building the pyramids of Egypt. Today one can find the remnants of these plantations all along the coastal plain of South Carolina. Many have now been preserved into regions of ecological prosperity, providing an oasis for migrating water fowl and other freshwater enthusiasts, such as alligators. As tumultuous as the past has been for places like these, it is a beautiful to know that now these former rice fields can sustain so much life. 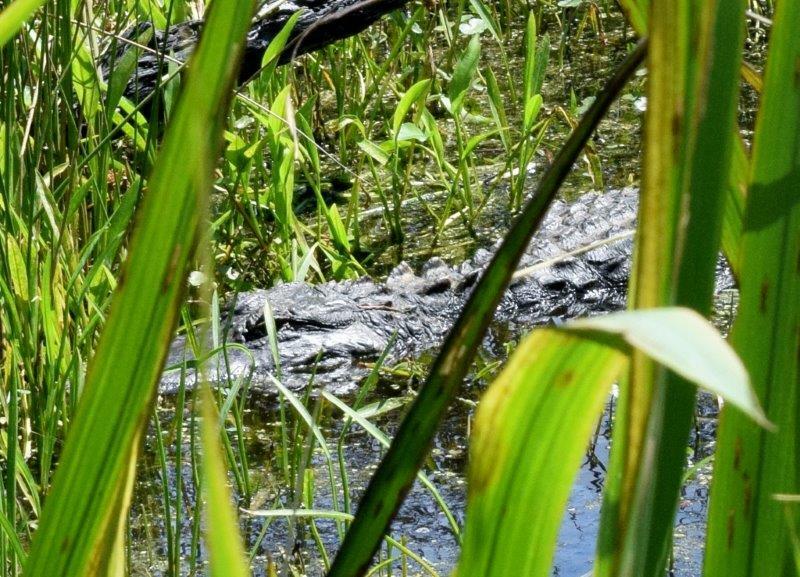 An alligator hiding within a freshwater impoundment, very much like those in former rice plantations. Another such example of blending historical and natural beauty lies in the ruins of Old Sheldon Church. The church is a testament to the turbulent and divided times that our country has faced. It dates back to the 1750s and was burned twice, once in the Revolutionary War by British troops and again during the Civil War by Union troops. 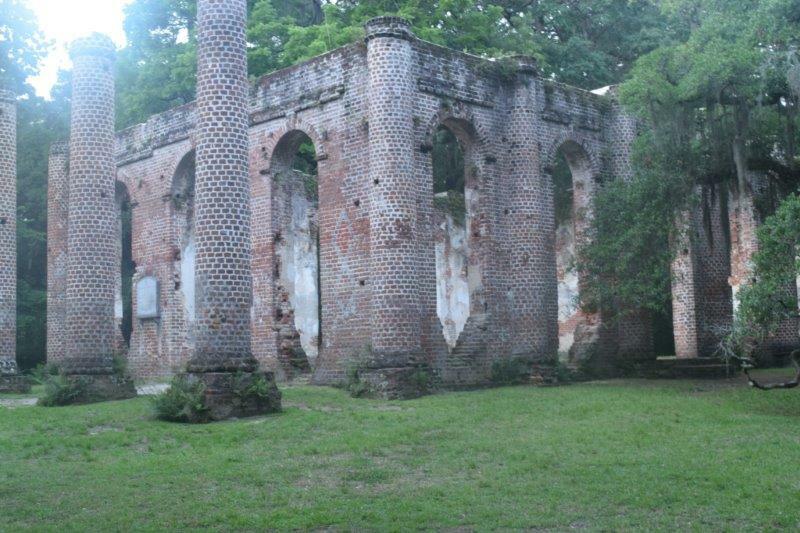 The structure has been repaired and rebuilt over time, but the church still lies in ruins today because it served as raw material for families to rebuild their homes during the Reconstruction period following the Civil War. The natural beauty on the property more than meets the ethereal charm of the church, however there is another benefit to protecting the church and the land that surrounds it. It sits on a canopy road, where live oaks intermix with Spanish moss and other foliage to almost completely shade the road. Many of these roads have disappeared or at threat from development. But by preserving the ruins of Sheldon Church, one can also conserve the natural beauty and function of the land around it. The remnants of Old Sheldon Church.